They'll let you jump into Google's mobile VR platform without a phone. Google has another way to differentiate its mobile VR platform from Samsung's: standalone headsets that have all the hardware you'd need built right in, without the need for a phone. At Google I/O today, the company revealed that we'll be seeing standalone Daydream headsets from HTC Vive and Lenovo later this year. They'll be based on Qualcomm's 835 VR platform and use WorldSense, a variation of Google's Tango 3D mapping technology, for positional tracking without the need for any external sensors. 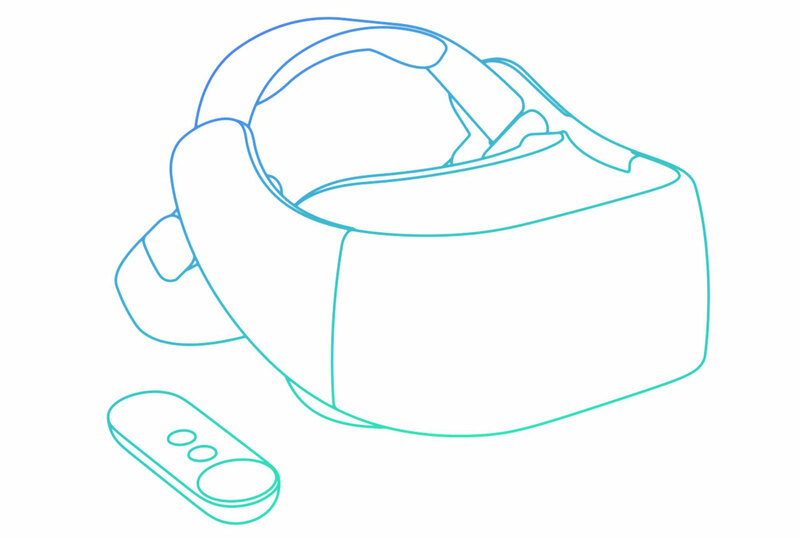 We only have a few sketches from HTC Vive and Lenovo for now, but they both look like typical VR headsets. HTC's will use an overhead strap while Lenovo's will rest against your forehead, similar to Sony's PlayStation VR. It also appears as if they'll be using Google's existing Daydream touch controller, though that could easily be changed by the time they're released. We heard that Google was working on standalone headsets last year, and we also reported exclusively that they'd be integrating eye tracking and sensors for mapping the real world. By bundling all the necessary hardware into a single device, Google has a way to market its platform to people who aren't using Daydream-capable Android phones. That opens the door to iPhone users as well as consumers who aren't upgrading their Android devices anytime soon. Oculus is also developing a standalone VR headset of its own, and based on our experience last year, it clearly looks like the future of virtual reality. 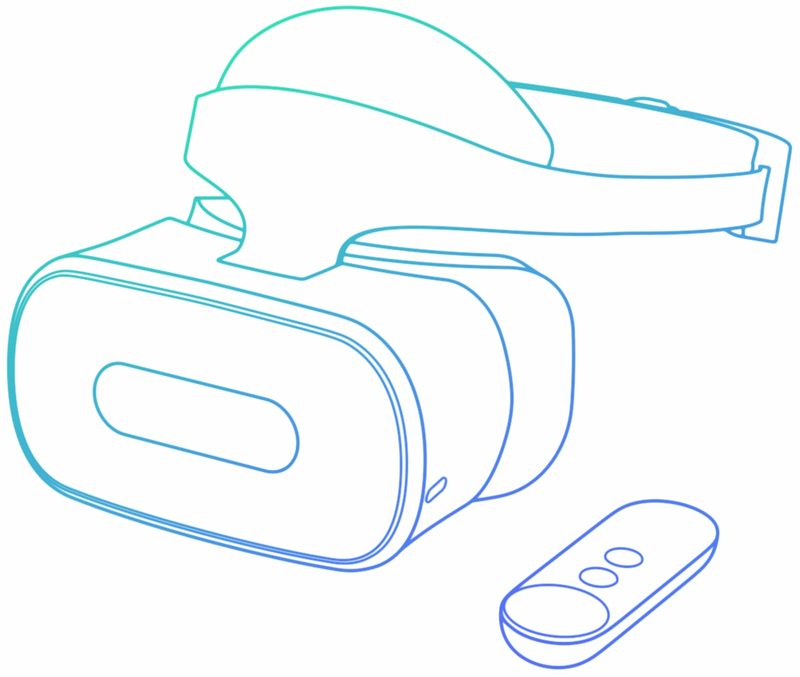 Qualcomm also revealed today that it worked together with Google to build a reference standalone Daydream VR headset. It's not something that will be sold on its own, but it could help guide other companies as they design their own standalone units. There's still no word on pricing for these headsets. But considering they'll have the hardware typically found in powerful phones, I wouldn't be surprised if they ended up costing $300 or more.